The village of Molenbeersel is located north-west of the town of Maaseik on the N73. From the motorway E313, which runs between Antwerpen and Liege, turn off at junction 25 Kwaadmechelen. Turn onto the N141 direction Oostham, through the village of Oostham and the road joins with the N73 in the village of Heppen. Follow the N73 to the town of Bree. At the junction with the N76 follow the N76/N73 direction Kinrooi. 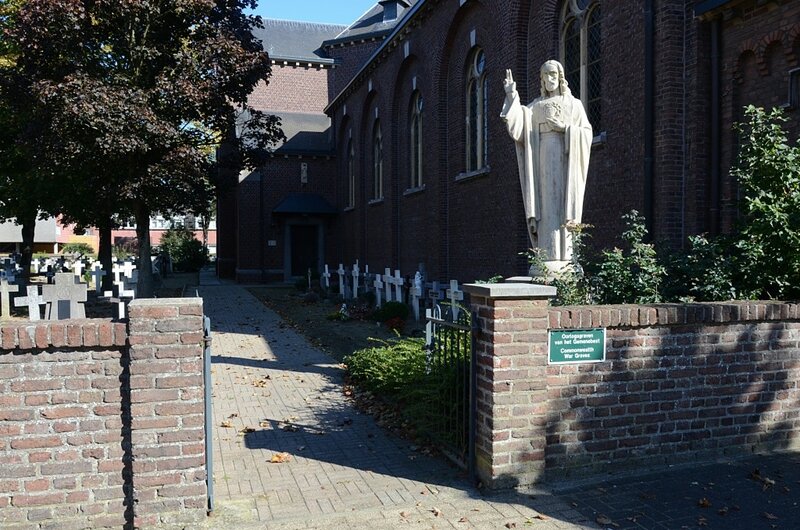 In Kinrooi turn left onto the N762 direction Molenbeersel, on entering the village the church is on the right and the cemetery is behind the church. 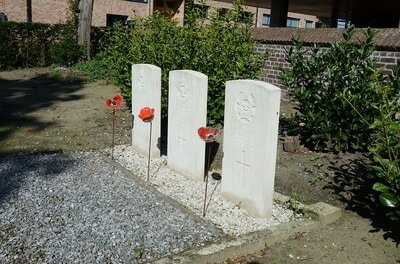 The graves are located in the rear left hand corner of the cemetery. 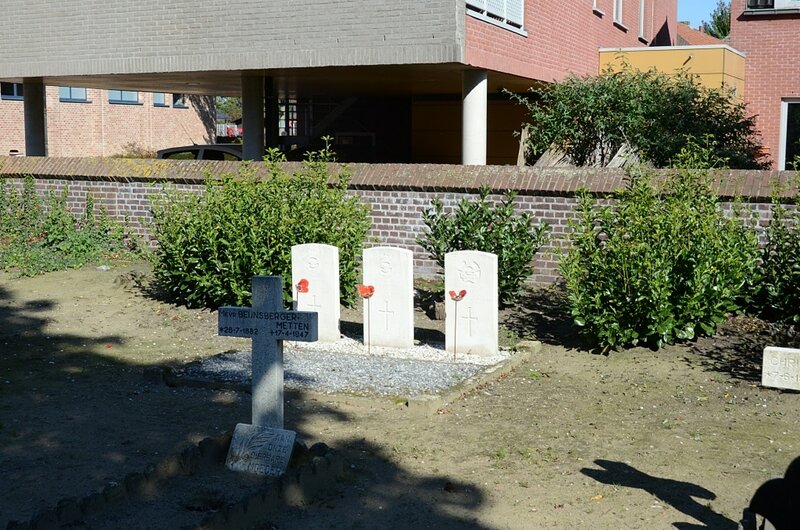 Molenbeersel Churchyard contains the graves of three airmen of the Second World War. R/60129 Sergeant Francis John Day, 99 (R.A.F.) 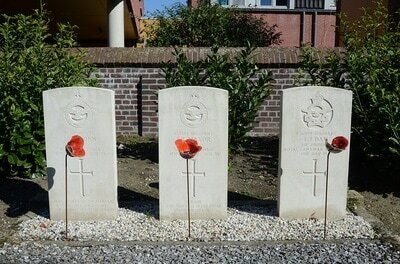 Sqdn, Royal Canadian Air Force, died 4th July 1941. Husband of Joan Florence Day of Handsworth, Birmingham. 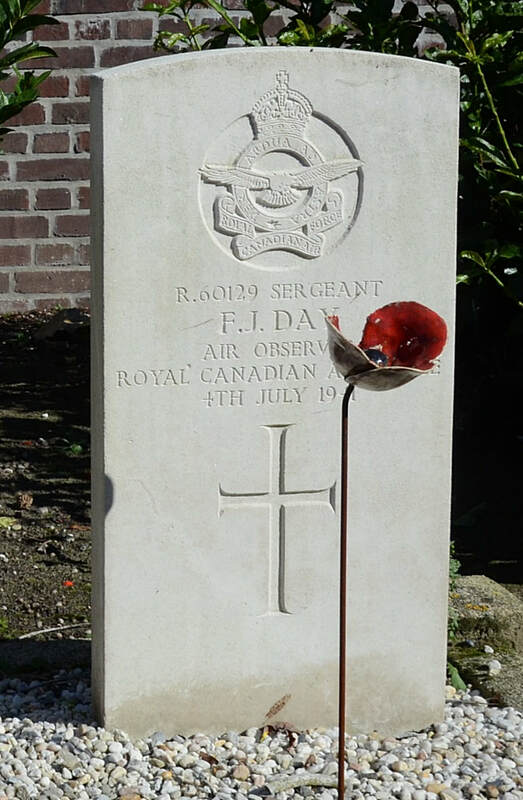 86391 Pilot Officer John Robert Leslie Dunn, Pilot in 99 Squadron, Royal Air Force Volunteer Reserve, died 4th July 1941, aged 26. 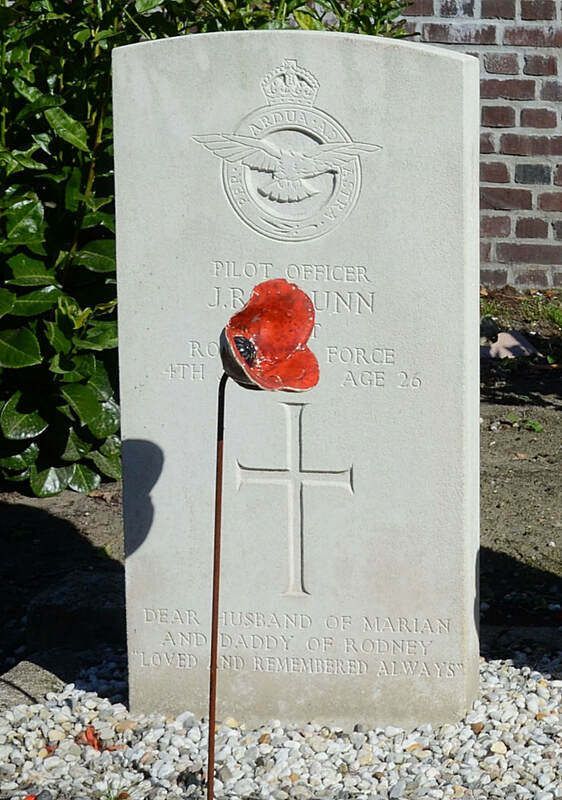 Son of John Thomas Dunn and Elizabeth J.Dunn, of Scarborough, Yorkshire; husband of Marian Dunn. of Scarborough. 1152989 Sergeant Spencer Ronald Mayor, Pilot in 99 Squadron, Royal Air Force Volunteer Reserve, died 4th July 1941, aged 25. 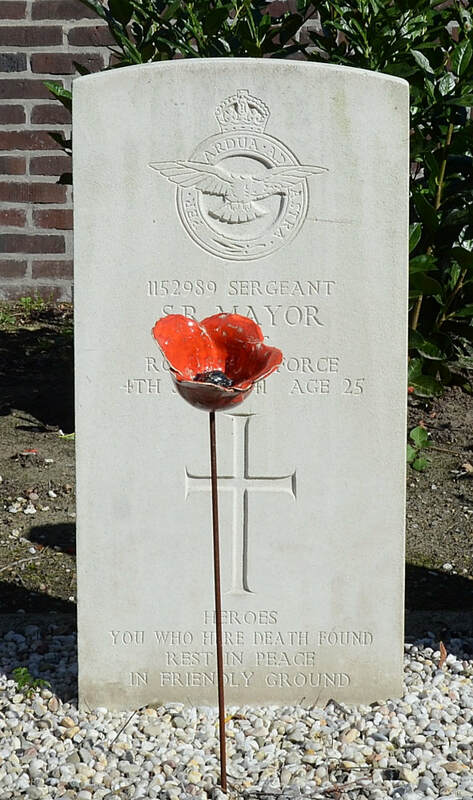 Son of Francis Maitland Mayor and Muriel Katie Castle Mayor, of Kingsgate Bay, Kent.